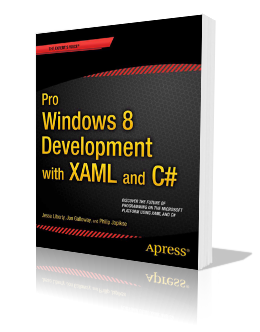 Here’s the hype: Understanding Windows 8.1 and how it ties in to the proven C# language and the XAML standard is the subject of this book. We explain how you can get the most from Windows 8.1 by focusing on the features that you need for your project and bringing your existing C# coding knowledge to bear. We begin with a nuts-and-bolts examination of how the technologies fit together and show you everything you need to get up and running with the new platform. Once you have a good understanding of the basics, you progress to more advanced topics; steadily increasing your understanding as a whole. Each topic is covered clearly and concisely and is packed with the details you need to code effectively. The most important features are given a no-nonsense, in-depth treatment and chapters contain examples that demonstrate both the power and the subtlety of Windows 8.1. This entry was posted in Books, Windows 8.1 and tagged Book. Bookmark the permalink.